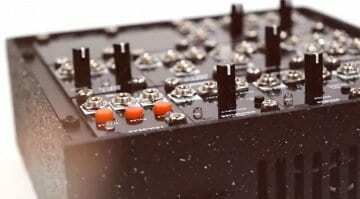 Not content with trying to wrangle our way through the complex nature of modular synthesis sound generation and CV control we now want to take on the visual content. Lightstorm from Strange Electronic is a module and case combination that offers a full spectrum of LED lighting to enhance your live shows or studio ambience. 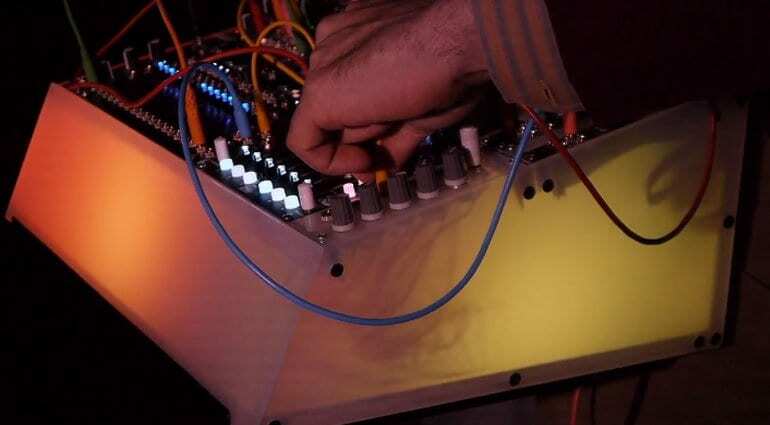 We all enjoy the twinkling LEDs of our Eurorack. In many ways it’s part of what separates the hardware experience from the software options. Adding further deliberate lighting seems like a natural step and we have seen this in audio-reactive lighting systems. 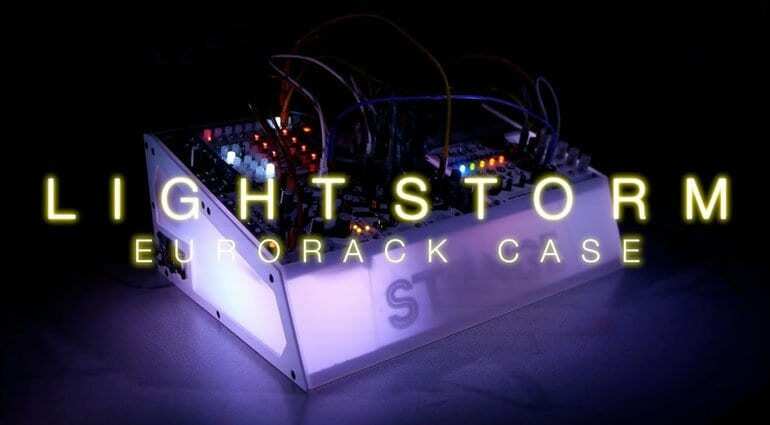 Lightstorm wants to go much further than that with their Lightstorm Module and Lightstorm Eurorack case. The module offers CV control over 6 parameters that connect to an array of LED lights. These parameters are pattern, speed, colour, saturation, brightness and trigger. It already sounds a bit disco but the point is that you have complete control over what’s going on so you can make it as trashy or as elegant as you need it to be. The pattern control transitions between 5 patterns and then the speed and trigger inputs work directly with that. The colour parameter works with 2 colours from a palette and then saturation and brightness are applied to those. The module comes with an LED strip of 72 lights in a semi-transparent diffusing strip. It’s simple, you can stick it anywhere and have fun throwing LFO’s, noise, envelopes and other modulators into the CV inputs which triggering it from a spare trigger sequencer output. This is a slightly different animal that uses the same module but builds the lighting rig into a rather marvellous 84hp 6U case. 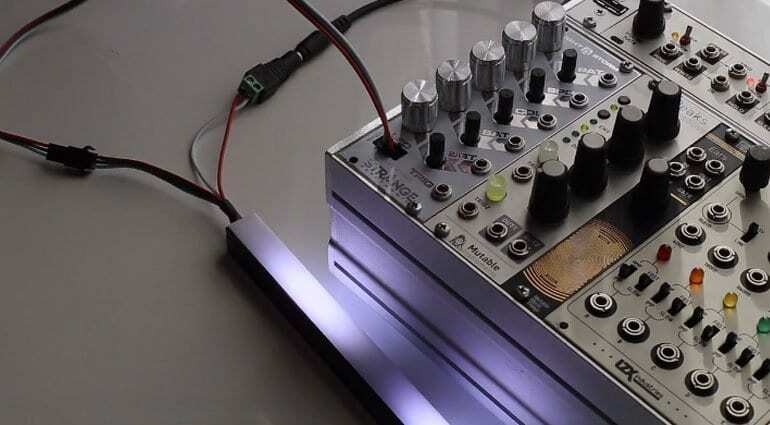 It’s built out of frosted acrylic and gives you a glowing, disco dancing base for your Eurorack performance. 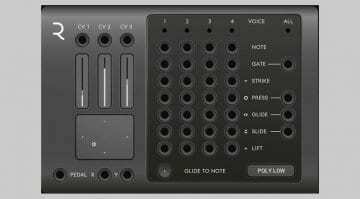 It’s interesting because they’ve slanted the top to give a sort of console feel to it but they suggest that you use it backwards in live performance. So the slanted side is facing the audience with you reaching over from behind. 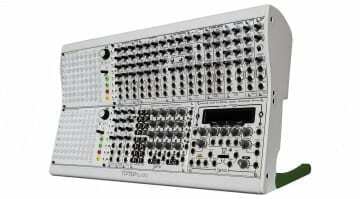 This gives the audience something to see while you’re patching and fiddling with knobs. 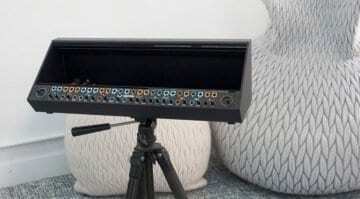 This is quite a thoughtful solution to the live Eurorack viewing problem. And then, of course, you have the case glowing like a flying saucer. I think the case is excellent for someone looking to create a bit of drama in their live sets. Although you are stuck with one idea and it’s not particularly versatile, whereas an LED strip or two does give you scope for development and creating your own environment. 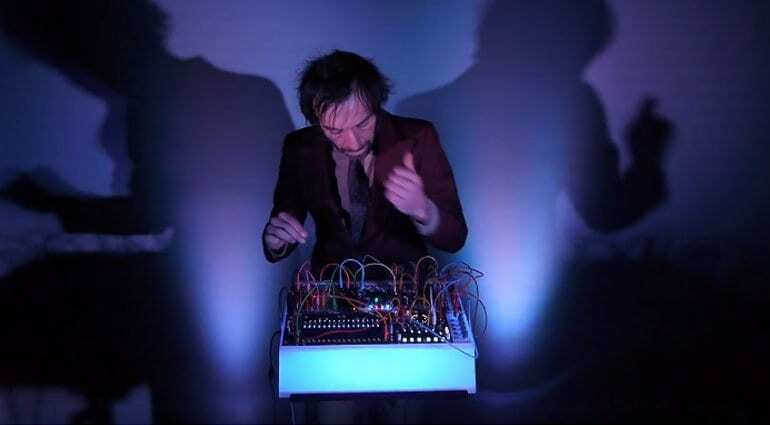 Performing with modular is on the rise and anything which makes it more interesting and engaging for an audience is a really good thing in my view. Lightstorm is on Kickstarter now and is halfway to the £15,000 they’re after. They hope to deliver in June and the module version with LED strip will cost you $300 whereas the fully lit case comes in at $1200. It’s not cheap but if you’re looking to build a serious live show experience then check out the videos and see what you think.